However, he came out super cute and sunny! I adore this shade of mustard yellow, and the combination with the blue fabric and eye patch is a top notch. Those who doesn`t like to add fabric to the soles can use a contrasting color of yarn. 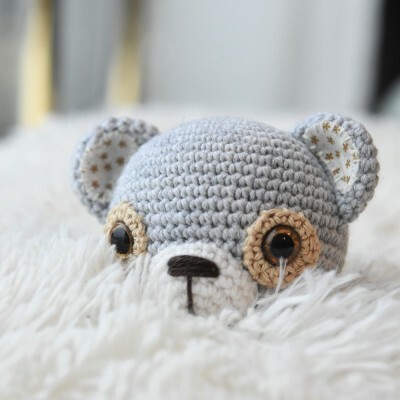 If you`re simply not sure how to do this right then read my blog post about how to add fabric to amigurumi. 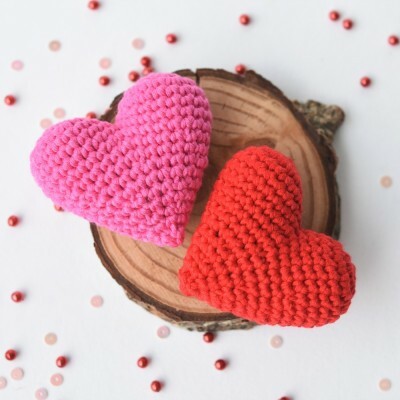 Mixing yarn and fabric can give unexpectedly nice results! 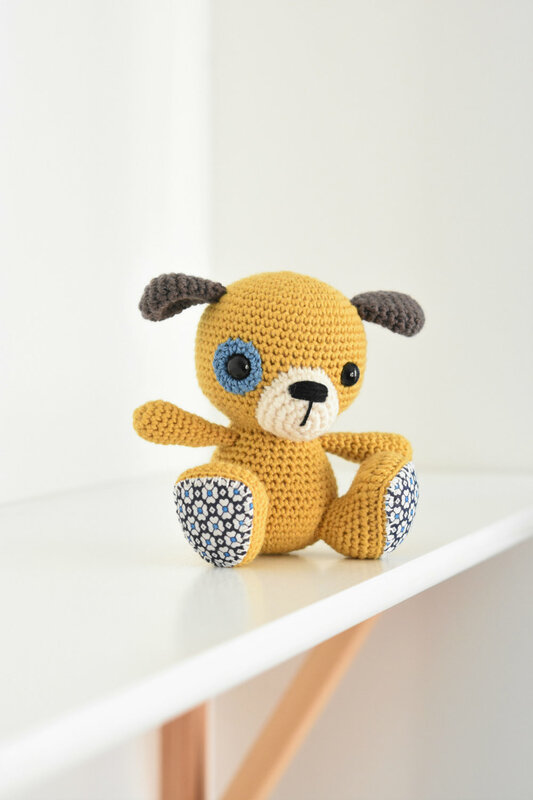 This yellow puppy is made with Drops Merino Extra Fine (unicolour 30). A super soft and cozy merino wool in lots of beautiful shades. 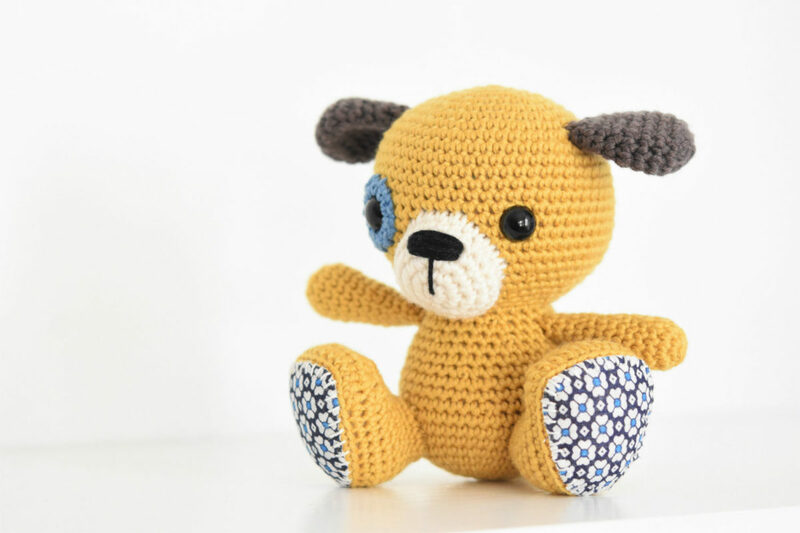 Find puppy pattern in my “Amigurumi Cuties” together with the instructions for the bunny and teddy. 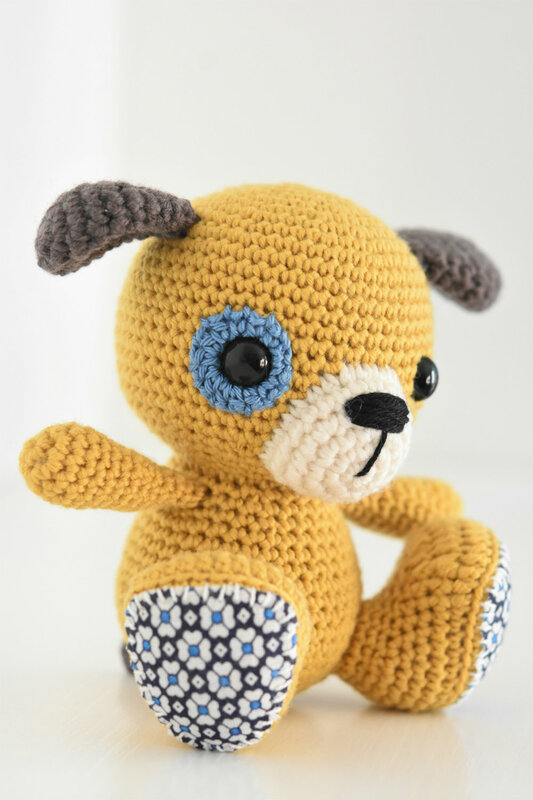 This entry was posted in Amigurumi animals, Dog and tagged Boy, DIY, Pattern.